If you are like me you prefer to play games for free, well now is your chance to take advantage of the promo Rovio is having on their Angry Birds Rio game. 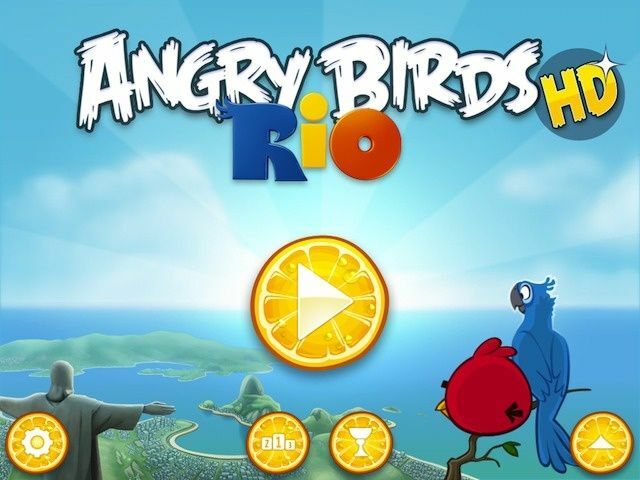 You can download Angry Birds Rio and Angry Birds Rio HD from the App Store for free right now. Even though it doesn’t have all the crazy new action of Angry Birds Star Wars, or Angry Birds In Space, there’s still a lot of fun to be had in Angry Birds Rio. The app has been made the “Free App of the Week,” so you have a few days to take advantage of the special before it goes back to costing $0.99 and $2.99. So now that we’re rolling into December, we’re about to enter into the biggest season of the year for both app buying and app sales. Right before Christmas, Apple will “freeze” the App Store, which means listings won’t get updated, and developers won’t be able to change prices or release new apps, so iOS devs and publishers are working overtime right now to make sure everything is ready for the holiday. But there are other ways to find big app price drops. EA has made it easy for its apps — the company has put together a “Daily Deals” page that will highlight free and discounted apps that show up in the company’s catalog. Right now, for example, Shift 2 Unleashed and The Sims Medieval are both completely free, and there are a few other apps that are discounted in price. Rockstar offers huge discounts on GTA games for Mac!!! If you are like me you probably hold off buying games in the days that lead up to Black Friday, well this year it has really paid off, iOS developers aren’t the only ones slashing prices for Black Friday 2011; there’s also some awesome discounts to be found in the Mac App Store. One of the best we’ve discovered this morning is over half off all three of Rockstar Games’ Grand Theft Auto titles for Mac. In addition to reductions on its Mac App Store releases, Rockstar is also offering 33% off all its titlesavailable on Steam. For those of you who have been wanting to play Team Fortress 2 but haven’t been willing to fork over the cash for it, here is some amazing news. Valve has turned its excellent team-based shooter Team Fortress 2 into an entirely free-to-play experience. The game was originally one of the biggest titles Valve brought over when Steam was made compatible with the Mac, so it’s 100% OS X seaworthy — just install Steam and you’re good to get the game. 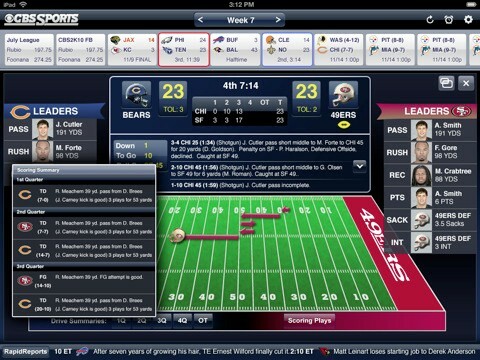 CBS updates their Pro Football iPad App just in time for the AFC and NFC Championships. iPad owners how get play-by-play action, scoring updates, streaming video, lineups, and even control over their CBS Sports fantasy football teams. Personally I would have loved to follow the Buccaneers on their way to the Superbowl however I am just as pleased using this App to follow the road to the Superbowl for the remaining teams. Survey finds that 1 in 3 iPad owners have never downloaded an app. This will come as a surprise to many, a survey conducted among iPad owners, which is based solely on Apps, found that about a third of iPad owners have yet to download a single app – not even free ones. According to cultofmac.com Another group, 63 percent of the participants in a Nielsen Co. survey, is the audience likely to adopt Apple’snew App Store Economy. These iPad owners purchase their games, read books, do finances – even plan their vacations on the iPad. The survey was conducted in August, and included 5,000 owners of iPads, iPhones, Kindles and other wireless devices.